The Mansker family plot at the Alameda Cemetery. Mansker graves line both sides of this photo, and the grave of William Henry Mansker is at the center. In the background is a stream that now flows into Mansker Lake. 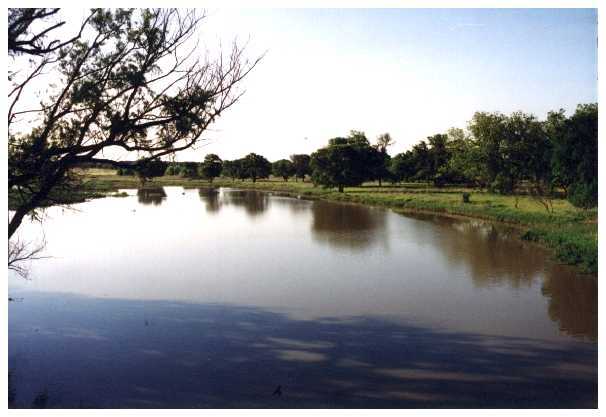 Originally William Henry's house sat at the edge of the lake, but the lake diminished greatly after the construction of the Leon Dam about four miles away. 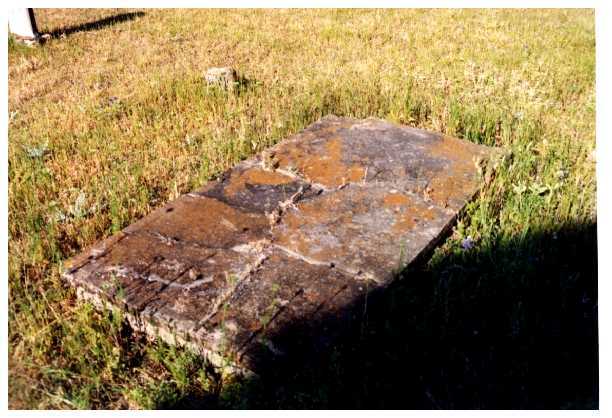 The grave of William Henry Mansker. It is now severely weathered and the inscription is no longer readable. 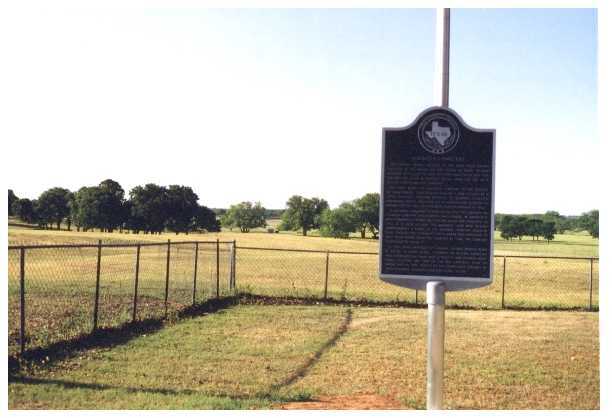 The Texas Historical Commission marker at the Alameda Cemetery. Read the full story on how the plaque came to be, and then read the inscription. 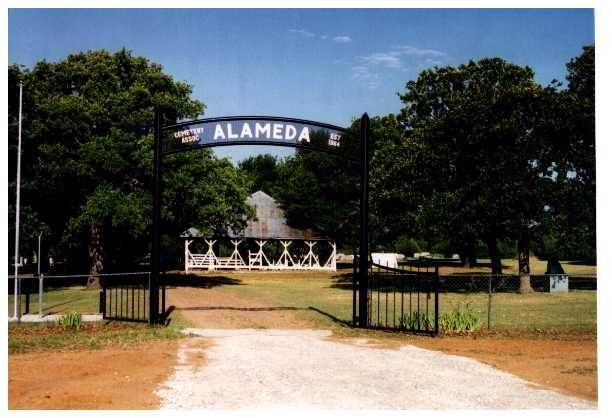 Main gate, the old Alameda Cemetery. 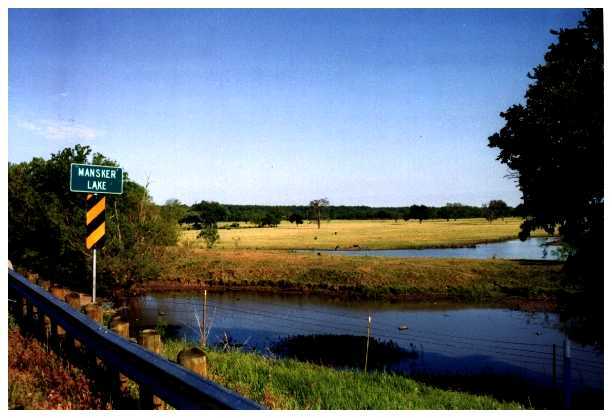 The Texas Historical Commission marker is visible just inside the gate at the left, standing in the light-colored new concrete. The structure in the center of the photo is the cemetery "tabernacle". Mansker Lake looking south. 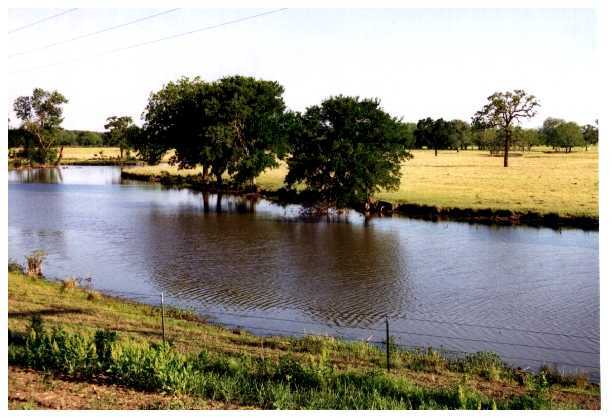 This area, approximately two acres in size, is all that now remains that can still be reasonably called a "lake". Mansker Lake looking northwest from the Eastland side of the bridge. Mansker Lake looking north. 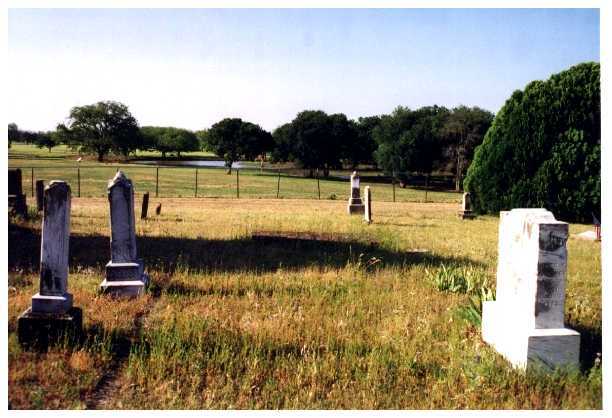 The old Alameda Cemetery is about a mile away, in the grove of trees on the horizon. Mansker Lake looking northwest. 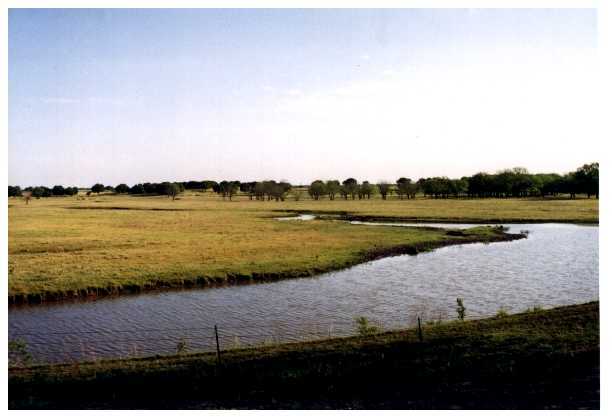 At one time the lake was much larger, until construction of the Leon Dam changed the water levels in the area.